`: How To Check Antivirus Strength or Test Antivirus Software or Check Antivirus Which is Used by You is Good or Worst? How To Check Antivirus Strength or Test Antivirus Software or Check Antivirus Which is Used by You is Good or Worst? One of the most asked question is Which antivirus has good strength or How to check antivirus strength? This post is for them who want to check their antivirus strength.This is a standard test and if your antivirus passes this test then assume that its a good antivirus. Copy the below code and paste it in your notepad and save it with .exe or .com extension , for example test.exe or test.com. After you save run the file ,if your Antivirus detects it as a threat then your Antivirus strength is good and working fine or else switch to other Antivirus. Did your antivirus detect it as threat? 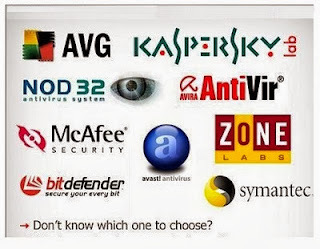 If answer is yes/ no Write in comment so other will know which antivirus is good..
Labels: How To Check Antivirus Strength or Test Antivirus Software or Check Antivirus Which is Used by You is Good or Worst?